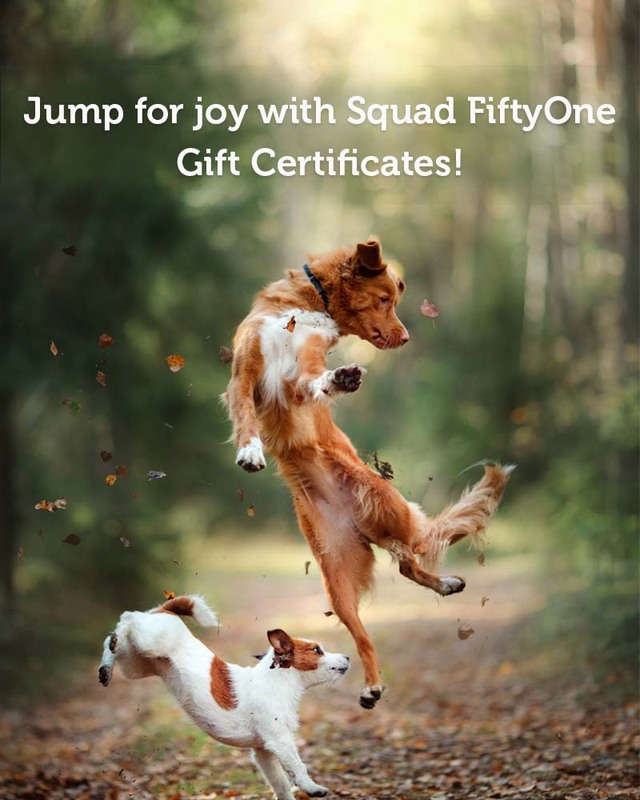 Squad FiftyOne certificates make the perfect gift! Enjoy 20% off Squad FiftyOne eGift certificates. They make an excellent gift for yourself or the pet lover in your life. Click here to give peace of mind to pet parents in knowing that there will be help there when they need it the most. Because they’re family.